RSVP to the Facebook event and come out to support other local business owners! In honor of Women’s History month, I posted an article on how to research female ancestors using military records by the National Archives. Even before women were able to enlist in WWI, women served in many important capacities as nurses, stewards, and volunteers in order to support the cause. Earlier this month, I wrote about the value of city directories for genealogical research, specifically on how they can be utilized to find information about your ancestor’s neighborhood and community. Visit the Legacy News page to access all of my articles. Source: LOC Prints and Photographs Division. The location of these reports are somewhat scattered but some can be viewed for free online. Hathitrust Digital Library has digitized copies from 1880 and 1894-1931. Some personnel information can also be found in the Lists of Officers of Merchant Steam, Motor, and Sailor Vessels that were compiled by the Steamboat Inspection Service. Hathitrust Digital Library holds volumes for 1897 and 1907-1915. The National Archives has records of the Steamboat Inspection Service including correspondence, letters, and reports in Record Group 41, Bureau of Marine Inspection and Navigation. Be also sure to check archives and city libraries for any files they may have on the Steamboat Inspection Service. For examples, the Boston Public Library holds reports of the Steamboat Inspector General for Boston in their Manuscripts Department from 1872-1884. “Denis J. Oliver’s Gift to Pope Pius IX,” posted 27 Mar 2016. “St. Patrick’s Day: The Birthday of General Connor and Many Other Irishmen,” posted 17 Mar 2016. “Land Records and Estate Files for Owen O’Neill of Belmont, California,” posted 12 Mar 2016. “Three Cheers: How The Oliver Family Met Theodore Roosevelt,” posted 7 Mar 2016. Kay Caball. “Kerry Land & Estate Records.” My Kerry Ancestors, 12 Feb 2016. Shared by Kimmitt Genealogical Research. Amy Cohen. “The Brother Who Stayed Behind: Adventures in Genealogical Research.” Brotmanblog: A Family Journey, 11 Mar 2016. Shared by Amy Cohen in the Genealogy Bloggers Facebook Group. “Cape Cod Captain Elijah Cobb Meets the French Guillotine and Lives to Tell Of It.” New England Historical Society. Shared by New England Historical Society. Jennifer Beeson Gregory. “Who’s the most photographed man of the 19th Century? HINT: It’s Not Abe Lincoln…” The Washington Post, 15 Mar 2016. Shared by Marian Pierre-Louis. Pamela Guye Holland. “Finding Historical Images Online.” Finding the Stories of Your Ancestors, 29 Feb 2016. Shared by Pamela Guye Holland. John Laidler. “Turning hard-to-read cursive into computer type.“The Boston Globe, 18 Mar 2016. Shared by Kate Lowrie. Donna Moughty. “Creating a Reference Library for Irish Research.” Donna’s Irish Genealogy Resources, 22 Feb 2016. Shared by Stone House Historical Research. Judy G. Russell. “Educable Children.” The Legal Genealogist, 10 Mar 2016. Shared by Judy G. Russell. Frederick Wertz. “What you need to know about original and derivative sources.” FindMyPast Blog, 23 Mar 2016. Shared by FindMyPast. U.S. Steamboat Inspection Service. Annual report of the Supervising Inspector General to the Secretary of the Treasury for the fiscal year ended June 30, 1895. (Washington, D.C.: U.S. Govt. Printing Office, 1895,) 20. With spring less than a month away, it’s hard to not have something to look forward to. The winter months are great because there’s no excuse to make some progress on research, but I’m looking forward to warm weather again. My hope is that research for clients will allow me to do some traveling and enjoy new sights during the spring and summer. Even though I did not receive a personal valentine, there was certainly a lot of love this month for my blog. Thanks to all the readers and followers. My posts were even shared by big names such as FindMyPast for my discovery on Bartholomew Oliver of Galway, Ireland. Last night I presented my talk, “Researching Maritime Ancestors in the National Archives” to the Central Massachusetts Genealogical Society. They are a fantastic group, which I am proud to be a member of. Thanks to all who braved the poor driving conditions to come out and listen. Unfortunately, the seminar “Genealogy: Bringing Together Past, Present, and Future” scheduled for Feb 24th at Monty Tech has been cancelled. There are still plenty of seats available for the 4-week genealogy course in March. For more information and to view my upcoming schedule of programs, visit the Lectures page. Genealogists in New England should not miss out on the annual seminar held by Massachusetts Genealogical Council. The speakers are top notch including Saturday’s keynote speaker Mary Tedesco, a host on the Genealogy Roadshow, and a whole day devoted to DNA with lectures with genetic genealogist CeCe Moore. MGC will be hosting this year’s program at the Courtyard Marriott in Marlborough, Massachusetts. Registration and details are available at massgencouncil.org. NARA Archivist Jason Klingemman had recently announced in his post for NARAtions, “Searching for Something? Try the New Catalog!”, a more intuitive upgrade and facelift to NARA’s online catalog. The new update allow users many more options for finding archival descriptions, documents, and web pages. 4. This document will provide you descriptions of the rolls including dates, subjects, and details about the specific content. You do not need to order anything. Occupation titles in the maritime industry are somewhat unusual and therefore perhaps unfamiliar to genealogists who come across these terms. My latest post for Legacy News, “Maritime Occupations in the U.S. Federal Census” intends to guide those with definitions. More importantly, it points out that we need to consider the meaning of words and their connection with the culture and time period from which it originated. “FindMyPast’s Maritime Collections Led to New Documents on Bartholomew Oliver.” Posted 17 Feb 2016. “Analyzing Margaret Darte Bartlett’s Genealogical Profile.” Posted 12 Feb 2016. “The Peculiar Absence of Jacob Olswang’s Passenger Manifest.” Posted 2 Feb 2016. Rachel Devaney. “Connecting with the past one goal of Mashpee Wampanoag Tribal Genealogy.” shared by Massachusetts Genealogical Council. Thom Reed. “Breaking Through the 1870 Brick Wall: The Significance of the Freedmen’s Bureau Records.” shared by Barking Up The Wrong Tree. Heather Wilkinson Rojo. “The New Hampshire State Papers – You can’t do colonial NH Research without them!” shared by Nutfield Genealogy. Amy Johnson Crow. “How to Build a Genealogy Research Plan.” shared by Experts in Genealogy. Cheryl Hudson Passey. “Marriage license reveals shocking twist in one family’s history.” shared by Carolina Girl Genealogy. Randy Seaver. “Searching Newspaper Records on FindMyPast.” shared by Randy Seaver. Kate McGillivray. “Eastern Townships historical archives go online for new databases.” shared by Charter Oak Genealogy. Last night, I attended a talk given by journalist Mike Richards who gave his “View of the Gardner Scene.” Gardner is a small city in North Central Massachusetts that is struggling in the post-industrial world. While I’m not from Gardner, I could appreciate what he was talking about and understood how important his role as a local historian and journalist was. He and many others take the time to keep the stories alive and preserve them for the generations. This is an important action for communities to take and we should be grateful to those who give their time so we can reminisce and revel in the days of old. My observations have led me to conclude that interest in genealogy is not particular to any region. From large cities to the smallest hamlets, there is a universal desire to learn the stories of our ancestors. I am especially glad this remains true for my own area based on the fact I am booked for so many lectures locally. For more information on where I’ll be appearing and teaching genealogy, visit the Lectures page. Most of my readers are already “GeneaBloggers.” but for those who are not or if you know someone who is just getting into genealogy, consider sharing some of the benefits of having a genealogy blog with my newest post for Legacy News, “How can blogging help your family history?” I did not underestimate the importance of the research I conducted over the last seven years, therefore I was very excited to receive a print copy of my blog this month. Not only is it wise to keep a hard copy backup, but it serves as an important tool in my genealogy library. Hope you all enjoy all of the links I shared and find them useful. It seems that the genealogy community is back to it’s normal level of business and it seems I’m finding multiple useful articles daily. 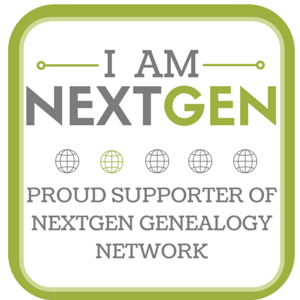 It is an exciting time to be involved with genealogy! Looking forward to updating everyone next month, in the meantime, new research posts are coming to you shortly. “Who is Elizabeth Shields?” posted 15 Jan 2016. “Azrow D Freeman, Postmaster of Belmont, Portage Co., Wisconsin.” posted 23 Dec 2015. Recommended Articles, Resources, and More! Copyright © 2015 Jake Fletcher. All materials protected under the laws of copyright. Do not copy or reproduce without author’s permission. Thank you for following Travelogues of a Genealogist and the monthly newsletter. It feels as if the time when I need to remind myself to write a newsletter comes quicker and quicker. Fall is traditionally a busier time of year and I am attending as many genealogy seminars as possible. Seminars allow us to be around others with a shared interest. Personally, I experience a feeling of solidarity with other researchers regardless of their expertise. I am happy to be bringing you this newsletter with exciting news about my multiple genealogy projects. I hope in the coming months to add more content about my ancestors, which will allow me to present my methodologies and techniques for solving brick walls. There are a couple new features of the blog page that deserve mention. I have added a calendar that allows you to access my archive of blog posts. I am available for webinars and live lectures on many topics in genealogy. Check out the lectures page and contact me if you would like to present on a topic for patrons of your organization. I have received several inquiries about ancestors who worked on ships. Researching maritime ancestors can produce some fascinating family stories, but are among the most difficult or time consuming to locate evidence of their occupation. Many of us can recall a sea captain or shipmaster in our past, but we do not have any actual record of it. My interest in the subject stemmed from a volunteer project at NARA Northeast Branch in Waltham, Massachusetts where I am creating an inventory of records of the U.S. Customs Service in Salem, Massachusetts. These federal records are overlooked and could certainly hold the clue to your ship captain. What I have compiled is a working bibliography that could get you started on finding your mariner in a crew list or view his protection certificate. Head over to the publications page and download the pdf, “Maritime Genealogy Bibliography”. I would also suggest downloading the Maritime Terms Glossary to assist you in understanding the documents related to your seafaring ancestor. If you enjoy genealogy talks on maritime ancestors and researching at the National Archives (NARA), check out my upcoming lectures. Members of the Massachusetts Society of Genealogists are welcome to attend my webinar 19 Jan 2016, now titled, “Using Records of the U.S. Customs Service to Locate Seafaring Ancestors”. For those live in northern Worcester County, the Central Massachusetts Genealogical Society will be hosting a live talk where I will present on “Maritime Research at the National Archives”. The date of this talk is scheduled for 23 Feb 20161 and will be held at the American Legion in Gardner, Massachusetts. “Obituary of Owen O’Neill and wife, Ellen Russell,” posted 9 Oct 2015. “Thoughts on Fall Conference in Chelmsford,” posted 27 Sep 2015. One of my theses as an undergraduate history student looked at published memorials made in commemoration for fallen soldiers of the Union Army. While this thesis discussed their function in northern Protestant culture during the Civil War, I decided to put a genealogist’s spin on it. The resulting blog post demonstrates that my topic’s connection to genealogy comes from the importance of how re-evaluating analyzing the original purpose of a genealogical source can add new clues to our research. Judy G. Russell, a prolific genealogist and lecturer, offered a venue for my blog post with her own blog The Legal Genealogist. Follow Judy Russell and enjoy her thoughts connecting the law and its history to genealogy. You can view my guest post here. FamilySearch Wiki – Wherever my genealogy research paths may take me, the FamilySearch Wiki is there to provide answers on new locales, records, and many more genealogy subjects. Virtual Genealogy Fair – Access the expertise of NARA archivists and historians. Lectures are 21-22 Oct and are available on NARA’s Youtube channel. Facebook Group “New England Witchcraft Trials” – A group on the New England Witchcraft Trials to include history and genealogy of the accused, the accusers, and the investigators. http://genealogy.julietarr.com/blog/ – This is a great blog to visit if you are just getting started with genealogy. http://ellengtodd.com/wp/ – Ellen Todd has been a genealogist for 30 years in the New England area. Her blog focuses on her Ohio and Mid-Atlantic Ancestors. Copyright (c) 2015 Jake Fletcher. All materials protected under the laws of copyright. Do not copy or reproduce without the author’s permission.